The Sara Grande is a stunning fixture created from a solid piece of crystal. Its beautiful cylinder shape highlights the hand-blown white glass set within, like a prism. The Sara will transform any space with its luxurious attractiveness! Black, satin nickel, and white finish options highlighted with satin detail and clear cable; antique bronze finish highlighted with antique bronze detail and brown cable. Select incandescent or fluorescent lamping. 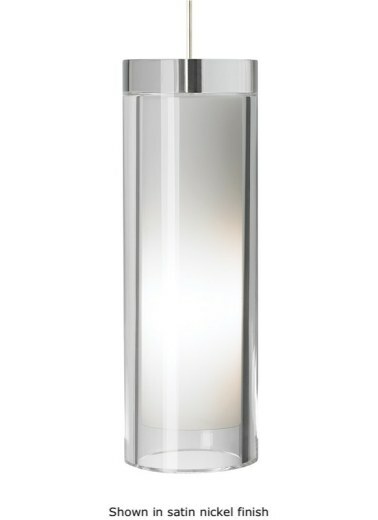 Includes either a 60W medium base BT15 incandescent lamp or 26W GX24Q-3 compact fluorescent lamp. The fixture is provided with six feet of field-cuttable cable. 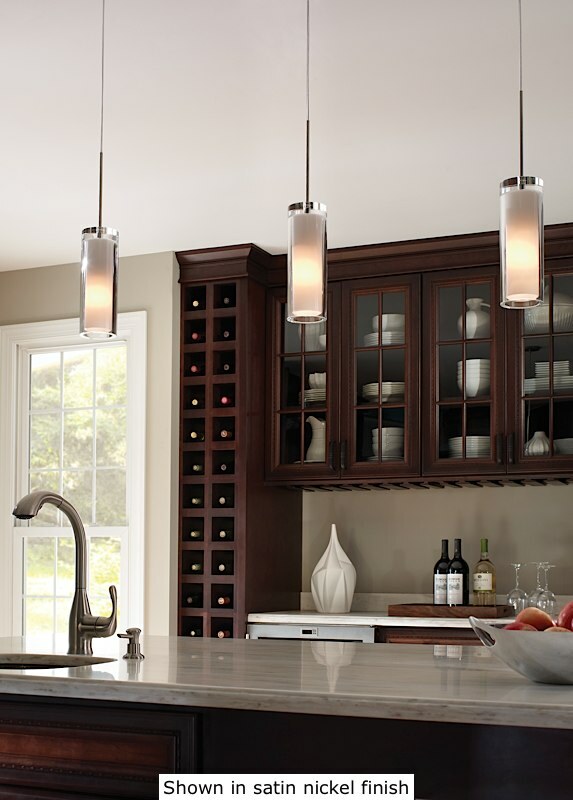 The incandescent version is dimmable with a standard incandescent dimmer (not included).